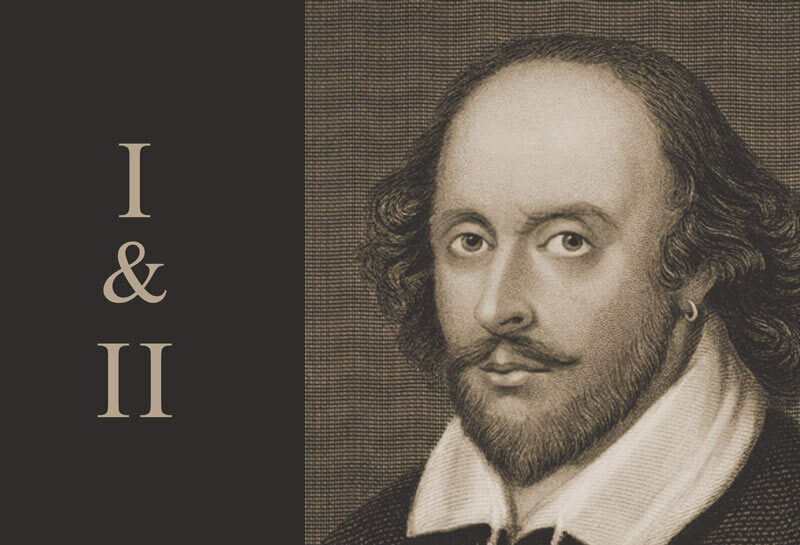 Who had more effect on the English language than William Shakespeare? He created over 1700 common words that before him were either used in a new manner or didn’t exist at all. He did this by changing nouns into verbs, changing verbs into adjectives, connecting words never before used together, adding prefixes and suffixes, or just invented entirely new words from scratch. 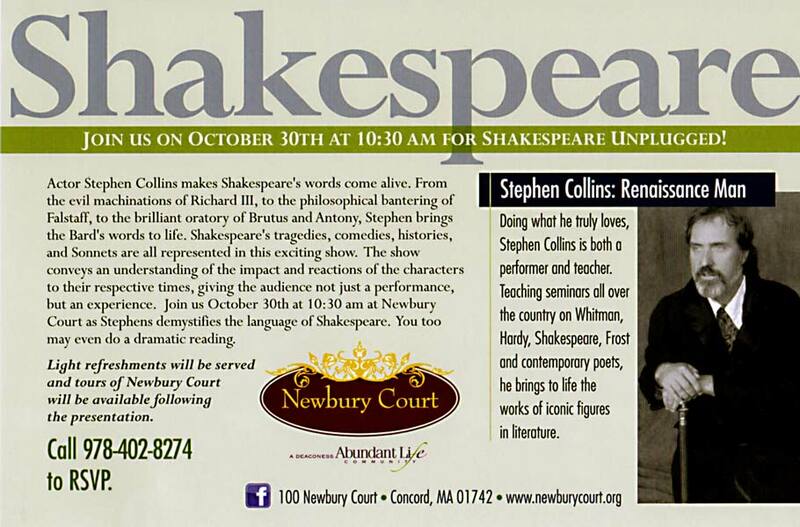 Let actor Stephen Collins make Shakespeare’s words come alive for your audience. From the evil machinations of Richard III, to the philosophical bantering of Falstaff, to the brilliant oratory of Brutus and Antony, Stephen brings the Bard’s words to life. 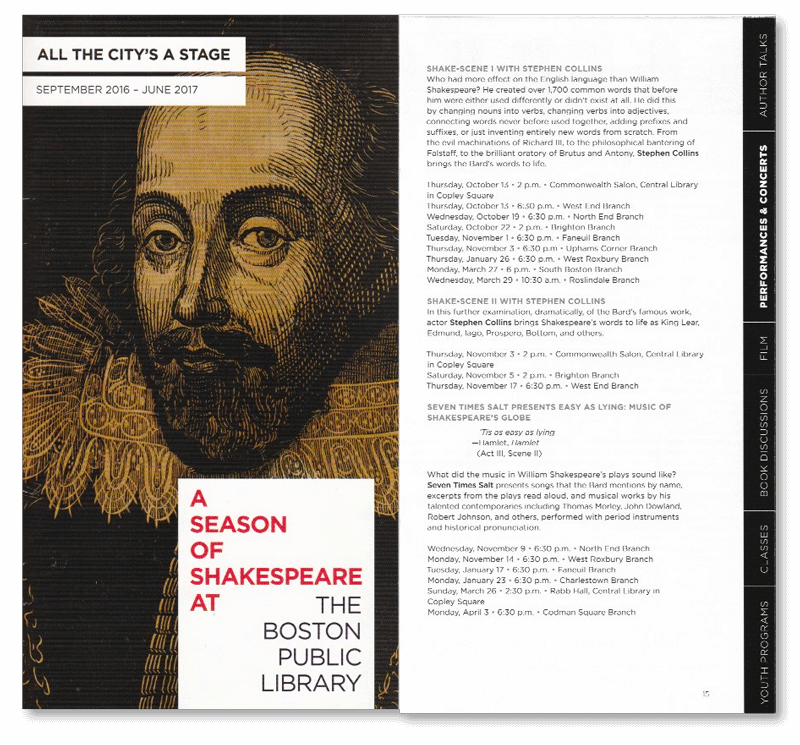 Shakespeare’s tragedies, comedies, histories, and Sonnets are all represented in this exciting show. A further examination, dramatically, of the Bard’s famous work. This time Stephen will perform as King Lear, Edmund, Iago, Prospero, Bottom and others. Nothing from Shake-Scene I is repeated here.